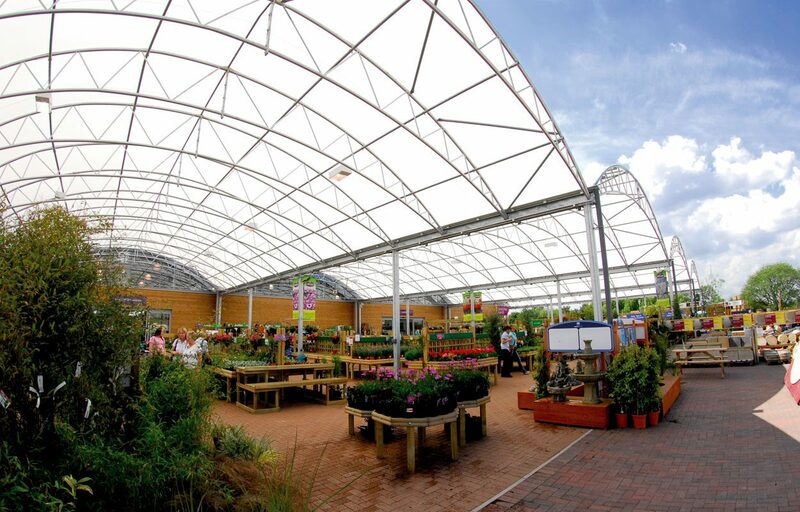 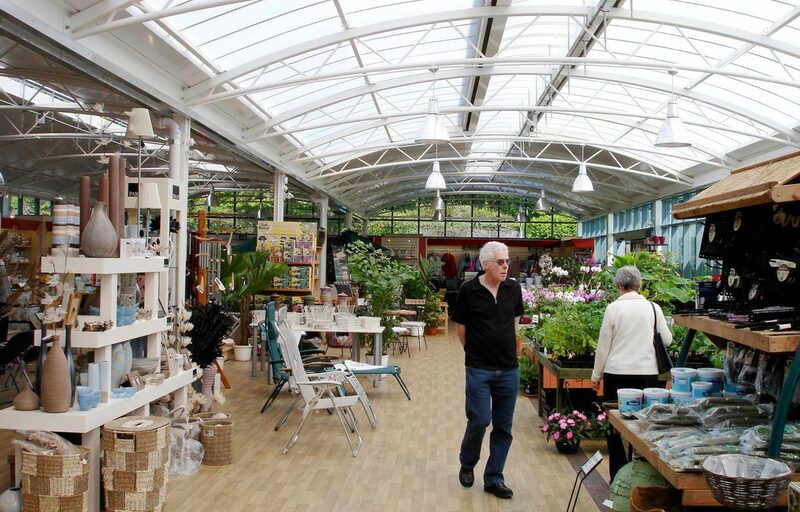 Multi-span steel canopy provides shelter for plants and customers at Ashton Park Garden Centre. 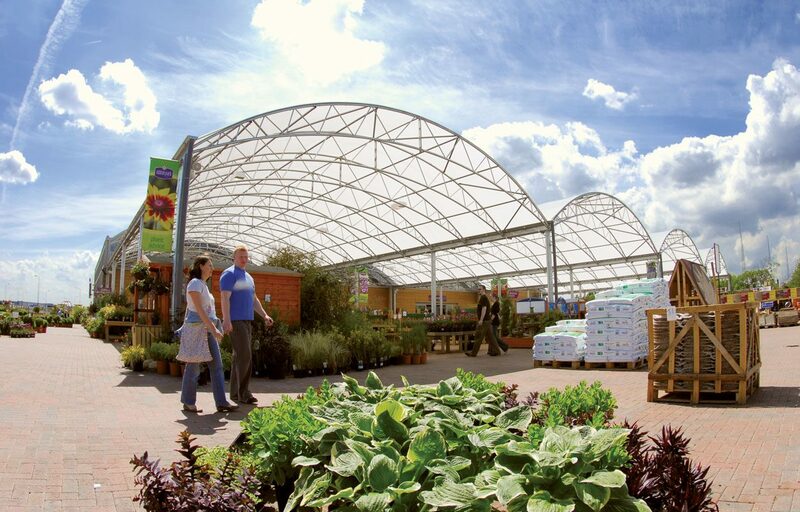 This multi-span tapered trellis was constructed by Fordingbridge as part of a large rebuild at Ashton Park Garden Centre. 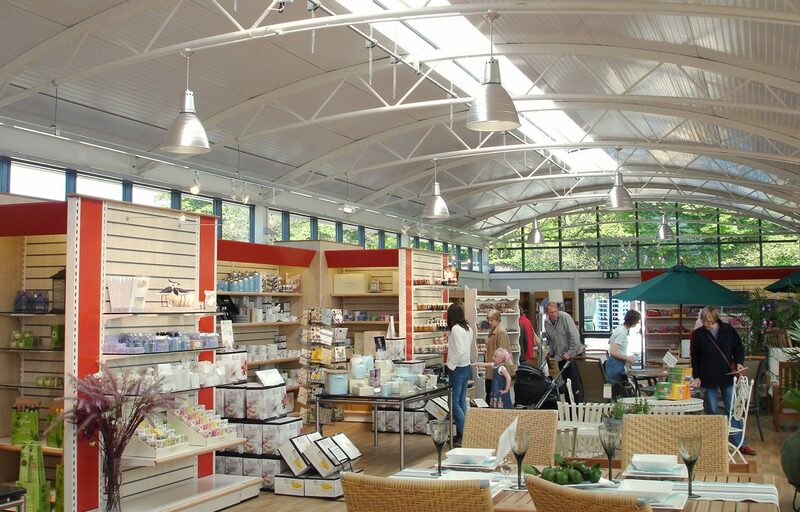 Fordingbridge also designed and built the 2,600m² steel framed retail building on the same site. 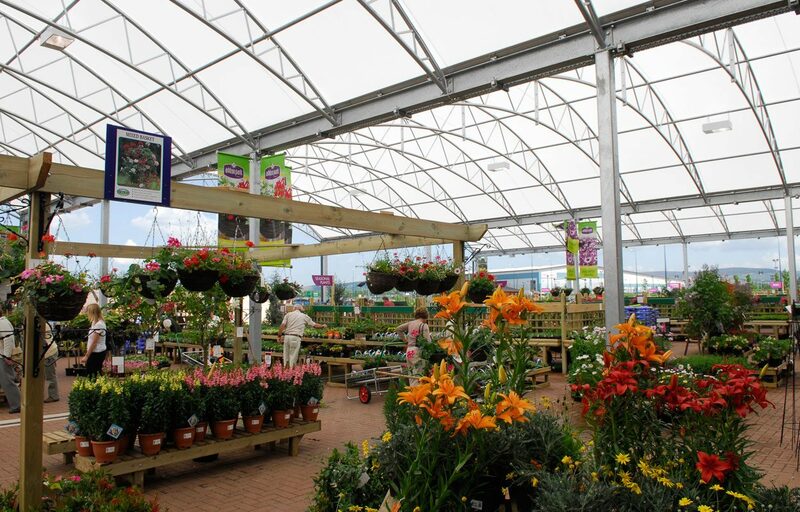 The hot-dip galvanised frame is completed by an Opal 60 fabric covering. 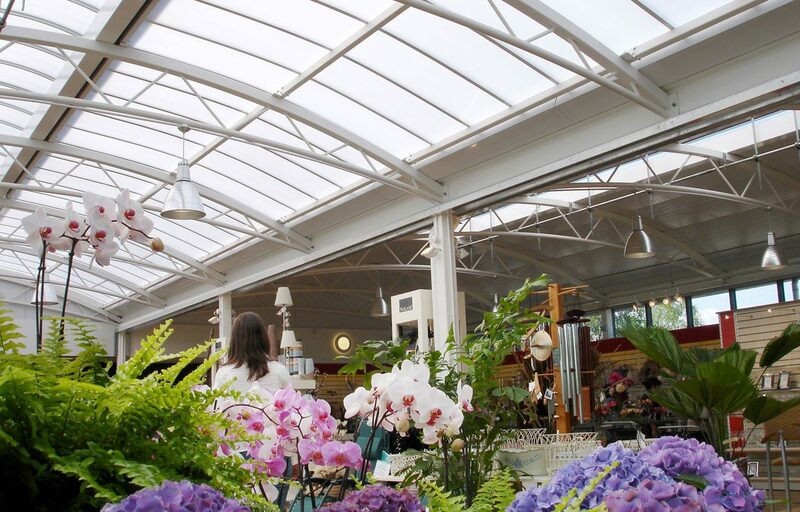 Developed exclusively for Fordingbridge, this fabric is an ideal roofing solution where high light levels are required.